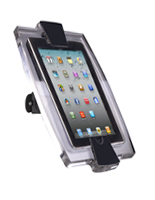 These wall mounting iPad Mini brackets are ideal for retail, office and educational enbironments. 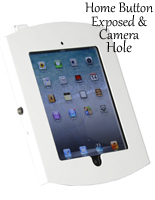 The enclosures can rotate and tilt to face any direction and accommodate any user. 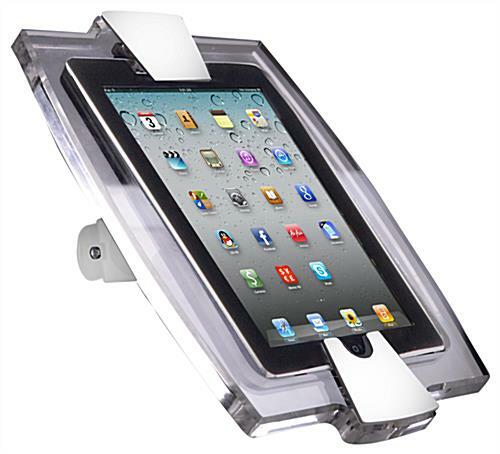 Each of the iPad Mini brackets is made of strong acrylic and steel that features a neutral white and clear finish. 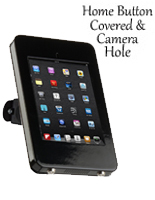 Aside from retail settings, the cases make great presentation tools in conference buildings and service organizations. 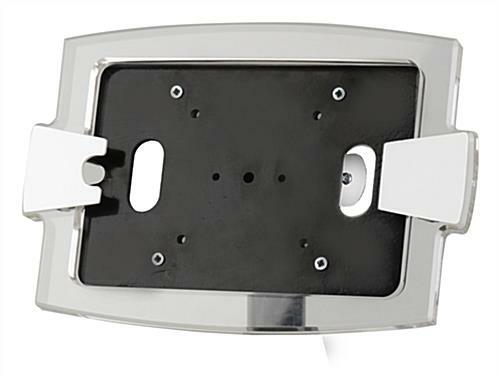 The brackets' ability to rotate allows them to quickly and easily switch between horizontal and vertical orientation. Each enclosure can also adjust to cover or expose the home button to optionally prevent users from exiting the intended app.